Well it truly is Oscar season and if you haven’t had it yet then Oscar fever will well and take hold in only a matter of days. The frontrunner (in our view) in the acting categories (Best Actor/Best Supporting Actor) has to be Dallas Buyers Club. With Golden Globes well under their belts, Matthew McConaughey and Jared Leto set to storm the big kahuna and walk away with a couple of Oscar shaped statues. So in light of all this awards commotion, we headed to meet the men themselves for the press conference last week. Now if you were expecting any Wolf of Wall Street chest beating antics, then we’re sorry to disappoint. Apart from Jared Leto praising Mr McConaughey and giving his own mini monologue about the tribal chest tappings, the focus was very much on Dallas Buyers Club and its incredible journey over many years to the silver screen. 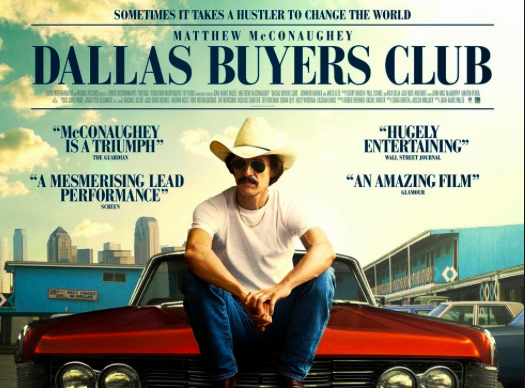 Dallas Buyers Club is the story of Ron Woodruff. A man from Texas living a simple life as an electrician. He likes, women, drugs, drink and rodeos. That is what his life mainly revolves around. The turning point comes after a work accident where he ends up in hospital and finds out that he is HIV positive (which at the time had a huge stigma with homosexuality) and only 30 days to live. This story follows his battle to use any means possible to stay alive and it is fascinating. 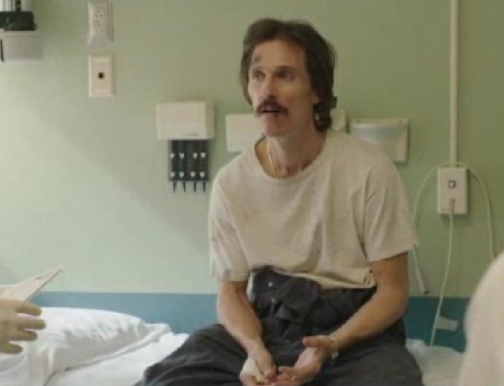 Apart from the incredible dedication to the character where McCanaughey had lost an amazing 47lbs to play the part. Without his determination and sheer Texan will power this film would never have been made. The script for Dallas Buyers club has been passed from actor to actor and essentially lay dormant for around fifteen years until now. Even days before shooting McCanaughey must have used his rom-com charm and Magic Mike moves to get this production going because it very nearly halted with location and timing delays. Never the less, his star power prevailed and the set was up and running on time with immense focus from all the cast and crew in what seemed to be a very short space of time. The end result, well lets just say that boy was this film worth the wait. 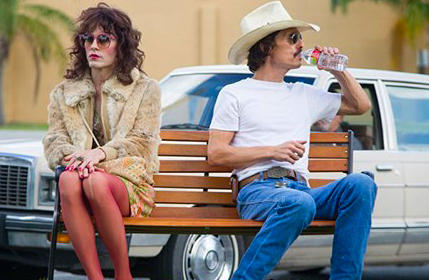 The performances in Dallas Buyers Club are jaw-droppingly powerful. McCanaughey seizes the screen with his alpha male attitude and ego which out sizes his scrawny frame. We see his journey from “macho” Teaxan, to outright denial of his situation, to a new position of power as he not only tries an innovative way to help himself but other sufferers as well. This is a very different performance to all the other Oscar nominees but it’s a brave performance which is very giving and totally absorbing, you end up fighting for Ron as much as he is, willing him to have that fairy tale ending where all is well, and are constantly on edge throughout pushing away the tears. Really powerful stuff. 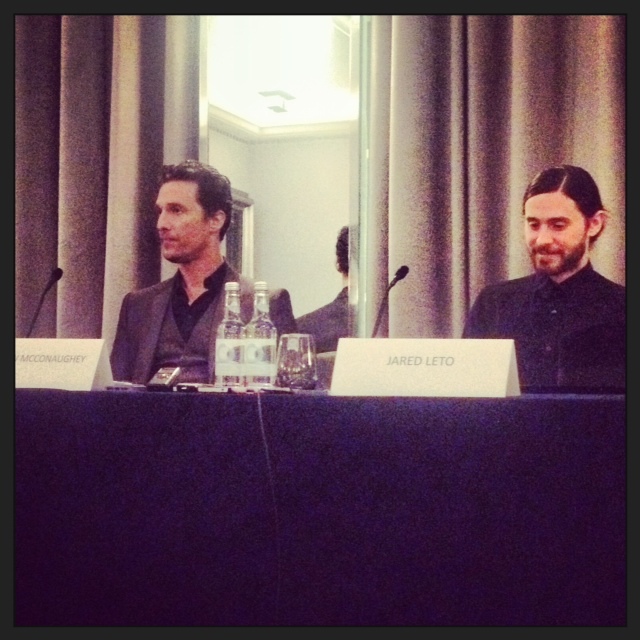 We also see Jared Leto provide the counter balance as Rayon. The drag queen who’s vulnerability and desperation to live rather than die at the end pulls strongly on audience members heart strings. This subject topic is about desperation and will to survive, and the highly quoted line from Rayon of “a girls gotta do, what a girls gotta do” speaks volumes to this. Leto’s transformation is equally as impressive if not as shocking. He managed to get kudos from the gay community on his performance and managed to win the role by chatting up the director via skype! Even though he hasn’t seen the film, its easy to say that you can’t help but love Rayon and the way that he plays the character is with such a natural charisma that you can’t help but think he’s done this before! Finally in the supporting role as a sympathetic doctor (Eve), Jennifer Garner also helps us understand another side to this ongoing battle against HIV. The inner hospital politics are very much the same today as they were in the 1980’s and although drug advancements have happened, there are still the same old problems of getting certain medicines to market. Overall this film is another important watch, which is why it has been heralded throughout the award season. It is a talking point, a simply made movie with great characters, with a lot of thought, heart and fact which have been too controversial to put on to screen in previous outtings, its honest and insightful and we should all be glad that it has been made as it really does open your eyes to this disease and the stigma attached to it. Well acted, well shot and engaging to watch. Definitely something to catch at the cinema when you can.